Community Partners is excited to be part of an innovative new partnership — recently awarded close to $1 million in funding from the National Science Foundation — which aims to help students, faculty and nonprofits in Los Angeles better harness available data to benefit local communities. 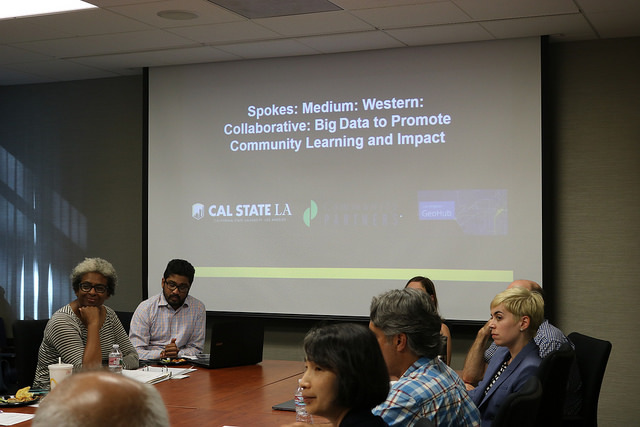 We’ll be working together with Los Angeles Mayor Eric Garcetti’s DataLA Team, California State University, Los Angeles, and Social Equity Engagement Geo-Data Scholars (SEEDS) on this unique public-private collaboration. Community Partners’ role will be to help provide access to local nonprofit organizations that can most benefit from the effort, along with administering outreach, community engagement, and research grants to groups, and help organize trainings for students, faculty and nonprofit organization staff.